Its been a blast making immediate videos as soon as ideas pop up. Utilizing a combination of the video apps “FaceSwapLive”, “Video Filters”, “Video Color”, and iMovie, I’ve been having fun seeing how to stretch their capabilities within the time limit of 1 minute on Instagram. This has become a whole new medium for me to work with. Here’s my brief review of “Thimbleweed Park”, before I noticed a special feature on Instagram enabling me to post full-sized widescreen vids. Oh! also, if there are fun apps you’ve been experimenting with, please provide them in the comments section. If you love point-and-click adventure games like “Maniac Mansion,” Zak McKracken and the Alien Mindbenders,” “Monkey Island,” Loom,” “Indiana Jones,” etc, please grant your curious imagination a huge favour (and the gift of an amazing education) by exploring “Thimbleweed Park,” the newest pixel-puzzle by the Masterminds behind these aforementioned games! Its available in all kinds of formats for $19.99!!! Also, if you’re a school superintendent, please consider layering Thimbleweed Park into the curriculum. It teaches cooperation, collaboration, putting puzzles together, brilliant adventures, and pleasantness in embracing the unexpected Great Unknowns of seemingly impossible possibilities. These are all fantastic traits in helping students get along with eachother better, finding the fascinating within the seemingly mundane, rise to challenges, treat obstacles playfully, and inspire the invention of extraordinary concoctions! This is the first time I’ve ever truly put up a review for anything. I’ve been playing Thimbleweed Park for the past month and was allowed today to give my review on it. I’ve decided rather than writing down my thoughts about such a surprising creation, I’d upload some screenshots for you, and then attach my audio podcast, possibly the first ever podcast review in Los Angeles, of Thimbleweed Park! Thank you Ron Gilbert, Gary Winnick, and David Fox for spearheading such a marvelously adventurous game! But first, check out their official launch trailer for it! Maniac Mansion is mentioned. Here’s a trailer for it! You can start from the beginning of their podcast and listen to the process of this extraordinary journey they went through to make such a layered game! Zak McKracken and the Alien Mindbenders is mentioned. Here’s its trailer! Here’s a list of all the folks on the TEAM who helped make Thimbleweed Park become possible! Monkey Island is mentioned in the podcast. The trailer is here! Thank you Emily for giving me my review copy! In addition to March 20th marking the first day of Spring, it also highlighted the Equinox. A day when both sides of the Hemisphere receive equal amounts of sunlight and darkness. Numerologists have said it is a great time to set your intentions for the upcoming months. So, what intentions have you set for yourself? Before I get into it, I want to first point out a song credit and a very interesting story to go along with it, that I meant to mention on the show. Sometimes I dj at a Chuck E. Cheese kind of place. A few nights ago on St. Patrick’s Day, I met Joseph Peck, while his Son was hanging out with Mickey Mouse on the dancefloor. He told me it was the first time his Son ever saw Mickey Mouse, as they don’t have a tv at home. Instead, they have lots of music instruments. I learned he played the steel drums. It hearkened back to my first memory of learning what a steel drum was, when I saw a guy make one out of an old oil drum on an episode of Sesame Street. Joseph said “That’s Ellie Mannette! He’s my mentor! He taught me how to tune steel drums!” In addition to catching my Sesame Street reference, it was fascinating that he actually directly knew Ellie! I told Joseph about Inspirado Projecto, had him email me a link to his music and played his song “Slow Sunrise Flow” at the top of the show. Thank you Joseph! Our guest of the show, is Craig Spivek, a local comedian. We met on the train while I was on my way to make music with my songwriting partner, Lawrence August . He talked about his book, “Comedy Will Save Us All!” It’s available on Amazon and a cross between an autobiography and self-help book. As you read the stories, you get the feeling that you grew up with Craig. He’s very personable and hilarious. Plus, he’s a big fan of synchronicities, which is always a wonderful revelation to learn about someone. We also played Funfacts by Henry D. Horse, presented the new KaPow Intergalactic Film Festival promo, talked about the upcoming Yachtley Crew shows on April 14th at StillWater Spirits & Sounds and April 15th at Bombay Bar & Grill, featured an advert by our official sponsor MEAT Clown Industries, had the honour of spilling the latest dead celebrity news from the Celebrity Afterlife Report, and unearthed a great ol’ Max Headroom song! Oh! We also broadcasted LIVE from the KCHUNG Studio, through Periscope! The first time we ever broadcasted LIVE through Periscope, was during our FAR Bazaar episode. Also….should you like to hear the official KCHUNG 1630AM archive of the “Equinox” episode, you can LISTEN HERE! This episode “Opposites” of Inspirado Projecto on KCHUNG 1630AM welcomes Kevin Foster, a longtime friend from Junior High School/High School in the Chicagoland area, who has been a writer and stuntman for the past 17 years on various Los Angeles film projects. He also wrote/directed/produced the drama-comedy, “Half Way“, which may some day become available for viewing purposes. In addition to hearing some great wisdom from Kevin about writing, acting, and stuntwork, we played interesting audio selections. We heard spoken word from poetess Samantha Light and podcaster Bret E Berman, Fun Facts from Henry D. Horse, and a new episode of Celebrity Afterlife Report from the Celebrity Medium. We also played original songs from T. Rex, Jason D. Karr, Bibi Borja, and Jimmy Byron. 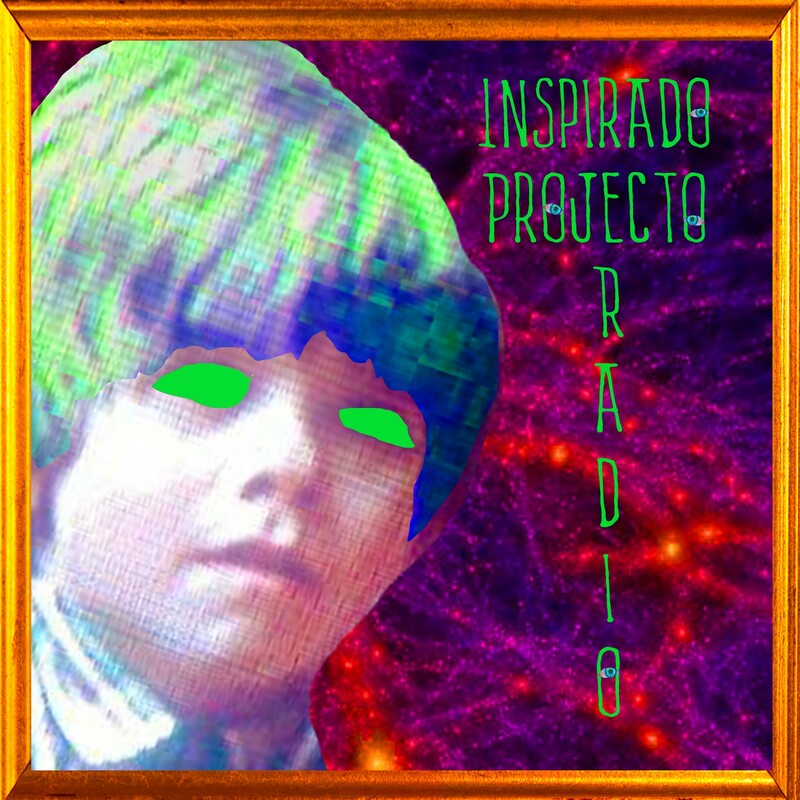 Also, mentioned was the 2nd Annual KaPow Intergalactic Film Festival, MEAT Clown Industries, Yachtley Crew, and KCHUNG Radio’s experience with Inspirado Projecto at FAR Bazaar with Phil Donlon and Alec Smart. We talked about the Inspirado Projecto Podcasts recently explored and what its like to now be a GodFather! A new station identification was played completely in Italian! We talked about the upcoming Andy Kaufman Fake Death Afterlife Bonanza hosted on Google Hangouts, May 16th. You might have seen Kevin in various films through the years, such as “Drag Me To Hell,” “Jurassic World,” “Old School,” “Jarhead,” “League of Extraordinary Gentlemen,” and others! You can listen to the entire KCHUNG Archive “Opposites” episode HERE!